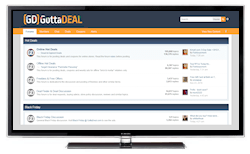 Started in 2004, GottaDEAL has become one of the oldest and most popular deal sites. 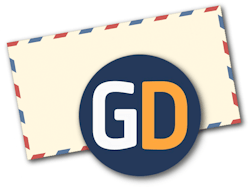 The GottaDEAL app for either Apple or Android devices will let you browse our message boards with a clean interface designed specifically for your mobile device, whether it be an iPhone, iPad, iPod touch or an Android smartphone or tablet. While our focus is on online deals, our forum has many other great boards dedicated to topics such as free offers, offline store deals, contests & sweepstakes, travel, technology and more, including our Lounge. We also have many contests on the forums throughout the year that you can participate in. Registration for the forum is quick, easy and completely free. Click here to sign up for a new forum account. In addition to providing visitors with hundreds of great new deals each week on our main GottaDEAL site, we also are known for our extensive coverage each year of Black Friday and Cyber Monday. This app will allow you to keep up to date on the latest Black Friday news, even if you are in line waiting for a store to open! You won't miss out on any deals because we also syndicate the deals we post on our home page in the forum as well, so this app is truly all you need to keep updated on all the deals, both online and off. So we invite you to download our app and join our wonderful community of elite deal hunters.